They say you find yourself when you go traveling and I agree; I definitely felt that way after my first backpacking trip at the end of 2017. The only problem, was coming home. I was completely and utterly lost when I arrived back in London after three months. Moral of that story? Don't book return flights. Within two weeks, I had booked the cheapest flight I could find; a one way ticket back to Southeast Asia. And when are flights cheapest? The specific hour of the year that you least want to be on a budget, long haul flight, with no entertainment system and a screaming baby on either side of you: as the clock strikes midnight on New Years Eve. 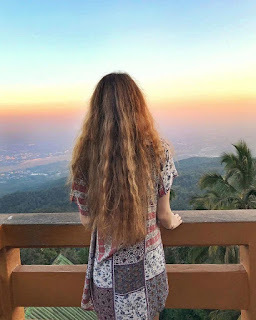 After celebrating New Years in the air over India, I arrived in Phuket on January 1st and still can't really believe what happened there. I spent a few days getting over the tiredness, (I could blame it on jet lag although I'm pretty sure it was just my body getting used to drinking every night again.) 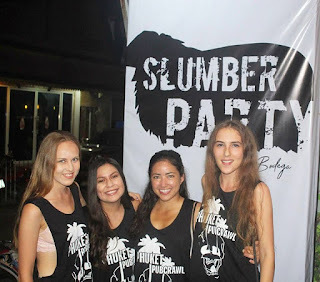 I went out exploring with new friends during the day, and partied every night. Then one night when I decided to wash my hair with hand soap instead of paying for a new shampoo, I met Jonny at the hostel. We've probably spent less than 3 weeks apart since then. 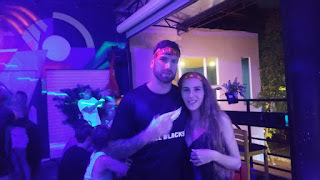 We both had separate plans to go to Phi Phi the next day but had bought tickets at different times so I met up with him and his friends when I arrived later that afternoon. Phi phi is crazy and after one night partying on the beach with the most disguising buckets of alcohol I've ever sampled, we decided to book into a hotel room and stay in watching films for the rest of the trip . It was back to Phuket for another couple of nights before we split up to go our separate ways. 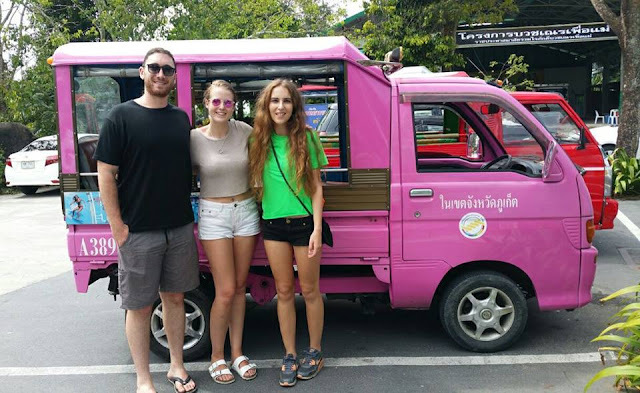 I massively fell for Chiang Mai the first time and having already spent the best part of a month there in November, I ended up staying for another two weeks in January. I was sad to have left Jonny but excited to be back in one of my favourite places. I was still finding new things to see and do everyday. On top of that, I had quite a bit of work to do so I had some wonderful days working from my laptop with a smoothie bowl on one side and a fresh coconut on the other. Literally living the dream. 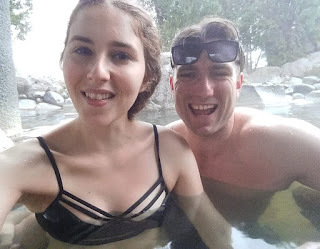 With my visa about to run out, I had to move country and with no plans this time around, I decided to fly to Vietnam to spend another week with Jonny before he had to go back home to New Zealand. I got myself a three month visa for Vietnam as I planned to travel north once he had left but it turned out that I didn't need it. 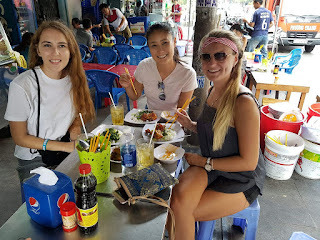 I stayed in Vietnam for 3 weeks in total, all of which was spent in HCMC, the place felt like home by the time I finally left. Being a big city girl, I loved the hustle and bustle and the crazy life that goes on through the streets of Saigon. The night I arrived was absolute madness; Vietnam had just won some kind of football semi-finals and I spent over an hour waiting for my visa to be processed because the officers on the other side of the glass were huddled around a computer watching the game. The whole county was out celebrating that night! 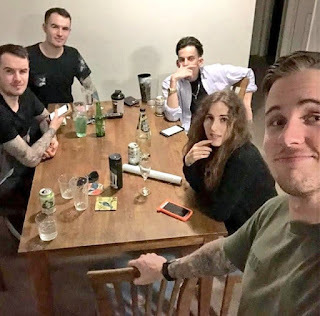 Apart from a couple of days sat in the chair at a tattoo shop (not me, the boys), I spent every minute of the next five days with Jonny and his friends, Jake. We all stayed at a party hostel for a few nights, before again, relocating to a hotel just next door. When the rest of the boys left to spent a day in Malaysia before catching their flight home, Jonny missed his flight and stayed with me in Vietnam; it was my first proper holiday romance. I was traveling with no ties but he was just on holiday so when the time finally came for him to leave, I didn't know what to do with myself. I had a few fun hours here and there but honestly, I was just miserable for the next few days. 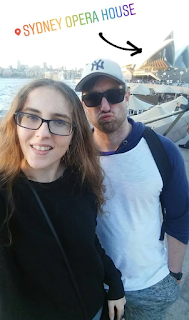 I don't know how it happened but after hours worth of video calls, 24/7 messaging and a few days of feeling sorry for myself, I decided I was going to go to New Zealand. 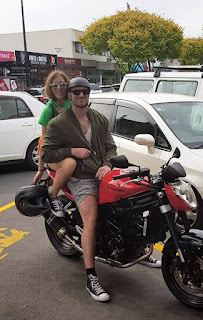 He bought a new motorbike the week I arrived so every weekend we would go on some kind of adventure; beaches, mountains, countryside, we even found a waterfall on our last week there. 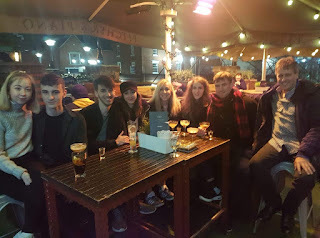 Whilst there were quite a few adventures, as well as weekly visit to the cinema, the casino and a whole load of restaurants, we spent many a winters evening in bed watching Netflix with a pizza, a family sized bar of chocolate and the electric blanket turned up full. 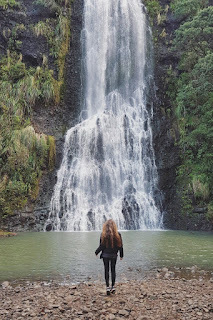 In July, Jonny took a years leave from his job in the NZRAF and we started our adventure by taking a road trip through New Zealand; it was one of the highlights of the year for both of us. We first stopped overnight in Hamilton to visit some family then, in the morning we headed straight to the glow worm caves. Honestly, one of the most incredible things I've ever seen. We had a guided tour and a ride on a little row boat through the cave, which was lit up with thousands of glow worms, it felt like a real life Disney ride. After our morning there, we drove an hour to Rotorua. Stopping on the way for pastries and pies, we spent the afternoon at Skyline adventure park and the next morning at the Polynesian hot springs spa. With the new Luna moon that night, an evening spent stargazing from a hot tub finished off a very magical day. With a little bit more time in Taupo, we were able to relax in between sight seeing. 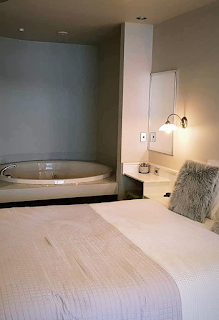 Luckily, we were staying in an incredible room at Boulevard Waters which had a huge bathtub. 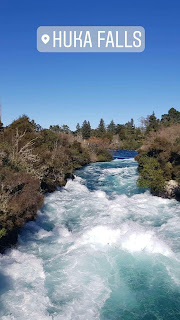 Taupo adventures included Huka falls, the Crators of the moon and another thermal pool spa. 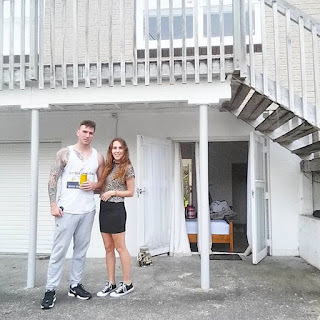 We actually visited a couple of times whilst we were living in Auckland so I'd already seen all the touristy spots by the time we finished our road trip at his parents house in Wellington. 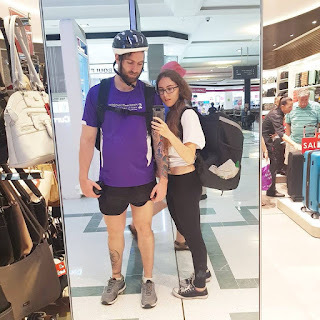 Between unloading our life out of the car and last minute packing for our next big adventure, we spent time with his family and got back to our usual gym, eat, cinema routine for a couple of days. We left Wellington (a little later than planned; I missed my first ever flight because Jonny left the airport without one of his cases?!) for Oz with his brother and dad in tow. 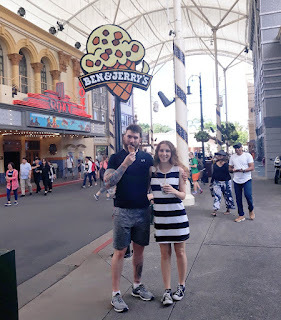 There wasn't too much time to explore but of course we managed to see the Opera house, wander around Darling Harbour and visit Newtoun, a very cool suburb where I had the most incredible smoothie bowl, just the start of what was to come from Australia. 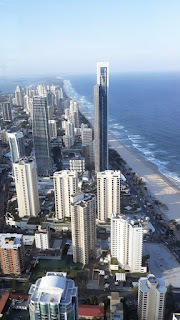 After very almost missing another flight, we finally arrived in Surfers Paradise; our home for the next few months. 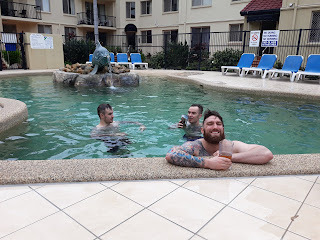 We worked hard on the Gold Coast; but moving in with his best friends made it loads of fun. Since we were all doing Uber Eats (another strange highlight of my year). We spent most of our time together waiting for deliveries outside McDonalds at 3am or excitedly stuffing our faces with cancelled order. Nights off were usually spent either drinking by the pool, watching the sunset by the canal or playing ping pong at the bar. It was a pretty chill lifestyle. 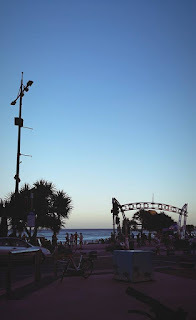 As our time in the Gold Coast came to an end, it dawned on me that we really had spent alot of our time working, so we toned down the hours and made time for trips to Movie World, the Sky Deck and days at the beach. 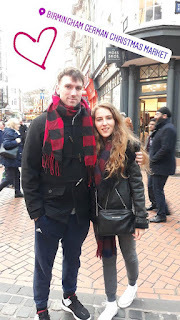 On 10th December, after a 24 hour flight, Jonny and I arrived back in the UK. Landing in London, our visit home was short lived because less than 24 hours later, we had our annual family trip to Birmingham. 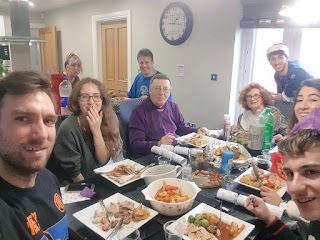 I finally got to introduce him to my family and we have an action packed few days celebrating my dads birthday, visiting the Christmas market, Cadbury World and Warwick Castle. Making the most of his first visit to Europe meant that we packed in quite a few trips in December. A few days later we were back at the airport and off to Edinburgh! 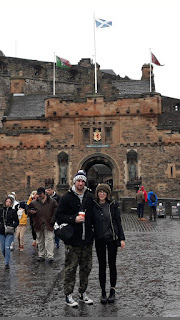 Since New Zealand isn't exactly know for its countless castles, visiting Edinburgh's famous fort was top of his list; that's 2 in one week! 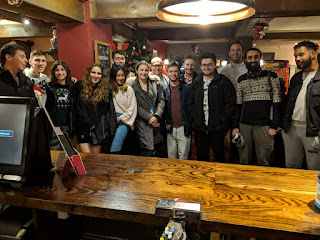 Between visits to the Weatherspoons, (something else they don't have in New Zealand and something Jonny now loves like a true Brit) we also did the Royal Mile, the Christmas Market and a ghost tour, which I had to sit out of at the end because I was too scared. Finally, a few days at home for the festive period. Around Christmas day at home, I caught up with my friends and family, met both of my brothers new girlfriends and showed Jonny around London. And my last trip of the year was just a day long! 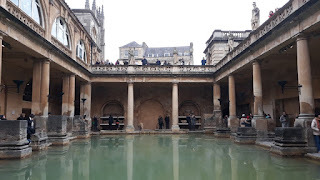 My dad had some work in Bath so Jonny and I tagged along. 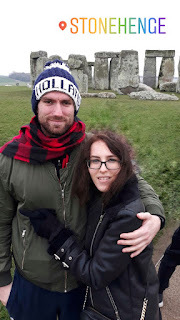 Since we were only supposed to have a couple of hours, all we had planned for the afternoon was to visit the Roman baths but my dad had the rest of the day off, we decided to visit Stonehenge too. Having Jonny here has been a great excuse to see all the places that I could never be bothered to see before. 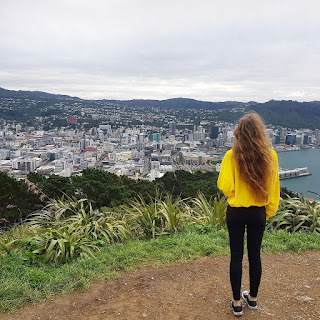 Whilst I went on less trips than the year before, 2018 was another crazy year for me - two years of travel madness that couldn't be more different! Leaving home on my own on new years day, I thought I was going to spend a few months solo traveling around Asia and then go back to real life, I never could have imagined how 2018 actually turned out!